The Pittsburgh Metropolitan Area Hispanic Chamber of Commerce (PMAHCC) is the principal regional advocate for the Hispanic business community’s civic and economic interests. It is our mission is to develop, promote and advocate on behalf of Hispanic businesses & professionals in the Pittsburgh region, while encouraging the advancement and economic growth of Pittsburgh’s Hispanic community. The PMAHCC Board of Directors represents a diverse tapestry of well respected, successful business and community leaders who execute a practical approach to the needs of the business community. A native of Miramar, Santurce, Puerto Rico Ivan Usero is a graduate of Duquesne University (Undergrad) and Robert Morris University (Masters) respectively. Having lived in Illinois as a child, while his father was obtaining his PHD in Geotechnical Engineering, Ivan is no stranger to being an outsider in a different land. It is for this reason that Ivan feels compelled to serve and go above and beyond. 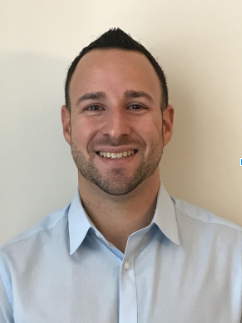 Professionally Ivan is the only full service, Spanish speaking insurance broker in Western Pennsylvania, working as Vice President for the Daniel Carinci Agency. This role has let Ivan help countless individuals, families, and business owners, while establishing himself as the go to expert in his field. As a former basketball player, Ivan’s competitive drive shines through in everything he does. Having served on the board for the passed 5 years, Ivan is extremely passionate about the organization and its mission. As President, Ivan will continue to lead recruiting efforts to expand membership, create new opportunities for all to get involved, and help the Chamber establish itself as the go to resource for companies wanting to impact our growing community! Jesús Torres was born in San Juan, Puerto Rico. A graduate of Penn State University, Jesus obtained a major in accounting and minor in business law, with a concentration in finance. 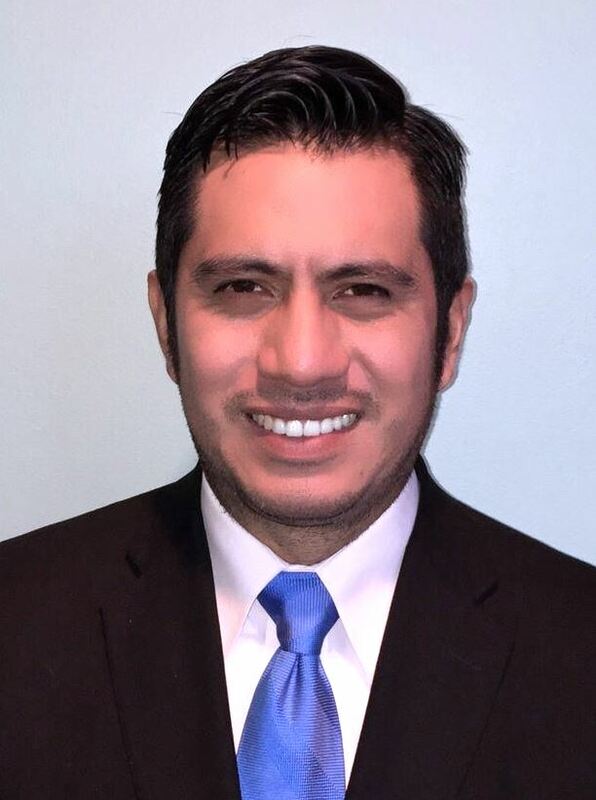 As a young professional, his career experience to date includes working as an audit intern for Deloitte LLP and as an auditor for a local firm in Washington, D.C. Jesús moved to the Pittsburgh area with his wife, a Pittsburgh native, in January 2014. He started his career in Pittsburgh as a senior accountant with Baker Tilly Virchow Krause, LLP, whose 2,500 professionals provide a wide range of business and financial services. Most recently, Jesús took a position as a senior internal auditor at PNC Bank. Lastly, Jesús and his wife, Elizabeth, own Torres Professional Bookkeeping, LLC. They specialized in personalized bookkeeping and accounting services throughout the Pittsburgh region. Jesús is a board member of the Pittsburgh Metropolitan Area Hispanic Chamber of Commerce a mentor for the Connection Accelerator Mentor Program through Vibrant Pittsburgh, and a member of the Next Generation Council– a group that convenes emerging leaders to think critically and act collaboratively to elevate racial, ethnic and generational diversity of talent in the Pittsburgh region. He was an active volunteer partner in the public-private “Hola Pittsburgh!” initiative lead by the Allegheny Conference. In addition, he was a member of the Welcoming Pittsburgh Advisory Council formed by the Mayor of Pittsburgh. In 2018 Jesús received the Distinguished Gold Alumni from Penn State Greater Allegheny. The GOLD (Graduate Of the Last Decade) Alumni Award recognized a graduate who has left Penn State in the last 10 years and stands out as a leader both professionally, and within the community. Armando A. Ocando is the Executive Vice President and Senior Partner of Coordinated Financial Services (CFS) which is a national financial firm based in Pittsburgh, PA. Armando works extensively with ultra high net worth families and organizations across the United States. Armando and his team specialize in implementing fully financed wealth building programs for both individuals and organizations. These programs improve CFS’s client’s financial position and provide tremendous benefits for the key-people of the organizations. CFS also provides charitable giving strategies for philanthropists as well as non-profit institutions nationwide such as hospitals, colleges, and universities. CFS provides family offices highly specialized expertise in the designing of and funding of life insurance programs that can provide hundreds of millions of dollars of liquidity to pay estate taxes and maximize their client’s charitable and legacy objectives. Armando earned his Bachelor’s degree in Interdisciplinary Business Management at Miami University in Oxford, OH. Armando is a member of Beta Theta Pi fraternity. He was active at Miami University serving as public relations chair for his fraternity. He continues to volunteer as a fundraiser and adviser for the fraternity. While in college, Armando started his professional career at The Bank of New York Mellon. 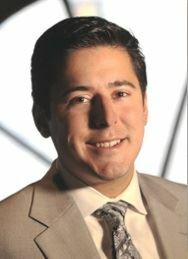 In 2009 Armando began his career in financial planning. 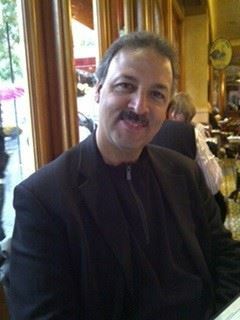 Currently, Armando and his team specialize in serving affluent clients through coaching them on how to create financial security, maximize inter-generational wealth, optimize their financial positions, increase their charitable giving, and to be good stewards of their money by leveraging private and proprietary strategies available through a select group of firms nationwide. Volunteer teacher and mentor for Junior Achievement of Western PA ; Member of Rotary International of Downtown Pittsburgh; Past Member of Rotary – Upper St. Clair/Bethel Park; Chapter advisor for Beta-Theta-Pi Fraternity; Past Regional Council member of Scripture Union; Co-Founder of Pittsburgh’s Aruna Run Race; Mentor and speaker at Upper St. Clair Leadership Academy; Past Volunteer with Pittsburgh Metro Crusade; Board of Directors of PMAHCC – The Pittsburgh Metropolitan Area Hispanic Chamber of Commerce; Board of Directors of ALPFA – Pittsburgh. Association of Latino Professionals for America; Past Board Member of Scripture Union, USA. The artist was born Kenia Acioly into a family of Italian origins in the city of Nova Iguaçu, a distant working class suburb of Rio de Janeiro. When she was six, Kenia’s family moved to Copacabana. Later, she lived in Niterói, Rio’s sister city across Guanabara Bay, and Leblon, one of the city’s most upscale neighborhoods. Each stop along the way provided opportunities to explore the local cultural peculiarities that go into making Rio and its neighboring environs one of the world’s most exotic locales. Fred Ramos is a senior business executive, administrator and strategic counselor to senior management with Global Communications, Public Relations, Marketing, Stakeholder Engagement, Strategic Planning, and Operations Management expertise and Thought Leadership. Fred has held numerous senior leadership positions at several Fortune 100 and Most Admired companies – where he has had a successful 25+ year track record of applying his expertise and Thought Leadership to help drive and support strategic, operational and Brand Image and Reputation Management business goals and objectives. As Senior Vice President, Corporate Communications, Fred serves as the Chief Communications Officer for the Highmark Health enterprise. In this enterprise senior leadership role, Fred has overall responsibility and accountability for leading a multidisciplinary Corporate Communications team focused on building a strong company reputation and integrated communications strategy across Highmark’s health, diversified and provider businesses, and for leading, designing and executing integrated Communications and Public Relations strategies to position the company as a leading health and wellness organization with key government, internal and external stakeholders. Prior to this, at Zurich Insurance Co. Ltd, Fred served as Global Head of the Employee Communications CoE, a core unit of the global Employee & Executive Communications team above the BU level, a Group level, senior leadership and Executive Staff role within the merged Group Marketing & Communications function. Responsible for leading and managing a team of employee communications business partners located across the globe, Fred helped to ensure the direction and coordination of employee communications activities across the Group, and the development, delivery and measurement of the Group employee communication strategy to drive employee engagement and commitment and to enable and support the execution of Zurich’s business strategy and brand repositioning. Before that, Fred was the Global Chief of Staff and Head of Strategy, Group Communications, where he served at a Group level, senior leadership and Executive Staff role as the Global Function’s COO and Chief Administrative Officer and directed its day-to-day administrative/operational processes, oversaw budget and agency management, and helped to set its strategic direction. This included driving the development and execution of the function’s multi-faceted, Strategic Framework and Operating Model focused on Group Communications delivering a simpler, more efficient and more effective value proposition to the business at the Group, Segment and Regional/Country level. Fred joined Zurich in 2011, serving as Vice President/Head, Corporate Communications, and Chief Communications Officer, Zurich North America - General Insurance (GI). In this regional senior leadership role, he led the ZNA-GI communications function and team; multiple, integrated communications channels; and key message platform development – directing and governing Internal/Employee Communications, Public/Media Relations, Crisis Communications, and Executive Communications, and helping to drive enterprise Employee Engagement and Change Management efforts. · Senior Director of Corporate, Internal and Executive Communications, and Executive Director of The Allstate Foundation, among numerous Public Relations and Communications leadership roles held during a 16-year career, at Allstate Insurance Company, in Northbrook, IL, where he directed companywide communications measurement and best practices initiatives –cutting-edge work for which Allstate and Fred became well recognized. Fred holds a B.A. in Communications and an M.B.A., from Northern Illinois University, in DeKalb, IL. Mr. Guillermo Velazquez has a wealth of experience assisting U.S. based companies expanding internationally and foreign companies seeking to develop their local and international markets. Mr. Velazquez’s international career began as a Marketing Specialist with Nissan Mexicana, S.A. de C.V., Nissan Motor’s Headquarters Office in Mexico City. During his three-year tenure with Nissan, Mr. Velázquez was responsible for developing and implementing marketing, sales and advertising support programs for distributors within Mexico’s territory of 32 states. Additionally, Mr. Velazquez was part of a team that designed and implemented technology solutions for business processes that enabled him to develop his IT skills and Internet based services used in developing and implementing marketing and sales plans. In 1995, Mr. Velazquez relocated to Pittsburgh, Pennsylvania where he was Director for Special Projects with the World Trade Center Pittsburgh. In this position, Mr. Velázquez was responsible for managing export and import trade development projects between small, mid-size, large local companies, and international companies. Mr. Velazquez was also responsible for the management and growth of the World Trade Center’s technology initiatives such as web and database management and the educational programs that included the Global Trade Institute, an international seminar series for business executives in the areas of international strategy, law, freight, and the cross-cultural and financial basics of exporting. Mr. Velazquez was also responsible for planning and managing the first international exposition -- the Western Pennsylvania International Trade Fair an annual event attended by approximately 400 U.S. and foreign companies seeking to expand their international business. Subsequent to his tenure at the WTC, Mr. Velazquez worked at Conco Services Corp. where he was primarily responsible for managing the development of its Latin American sales markets. This position enabled him to utilize and improve his international marketing skills and required him to conduct market entry studies, devise market strategy, establish channels of distribution, and manage distributors and agents for Spanish, Portuguese and Italian speaking countries, resulting in an exponential growth in the company’s international sales. Mr. Velazquez left Conco Services Corp. to consult as an independent International Business Development professional, assisting companies to develop a global outreach, assess markets, develop international strategies and open new international channels of distributions that resulted in access to new markets and increased profits. In 2011 Mr. Velazquez rejoined Conco Systems as Manager for Latin America, with a strong focus on international distribution management. Currently, Mr. Velazquez serves as Director of Special Projects at the Pittsburgh Hispanic Development Corporation, where he manages the first Latino Business Incubator in Pittsburgh. Guillermo Velázquez is currently a 2018 MBA Global Management candidate at Point Park University. In 1995, Mr. Velazquez obtained a degree in Business Relations and International Business from the National Polytechnic Institute, University of Business Administration and Marketing in Mexico City, Mexico. Furthermore, he also holds a diploma in computer systems, and a diploma in English as a second language. He is fluent in Spanish, Portuguese, Italian and English. Mr. Velazquez served from 2002 – 2004 as President of the Western Pennsylvania Hispanic Chamber of Commerce promoting commerce for Hispanic-owned businesses in the region. 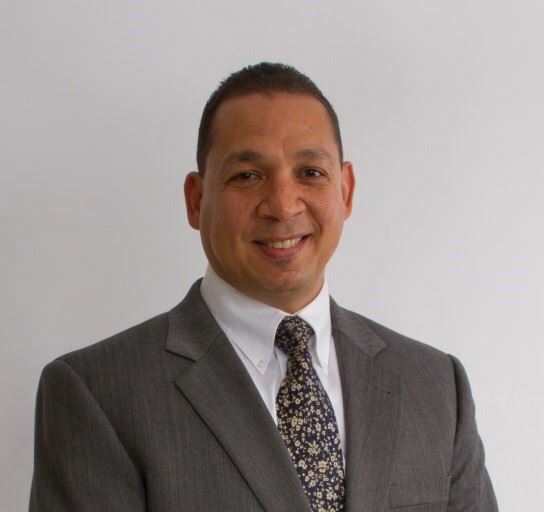 Currently, Mr. Velazquez continues serving as a board member executive committee member and chair of the Latino Business Initiative of the Pittsburgh Metropolitan Hispanic Chamber of Commerce. In October 2016, Mr. Velazquez became the president of LACU - Latin American Union Culture, the oldest Latino membership organization in Pittsburgh with 30 years of existence, and he serves on the board of COESA, the Brazilian Association of Pittsburgh. Omar Khan is in his 21st season in the NFL and 17th season with the Pittsburgh Steelers, having served in numerous positions within the organization. 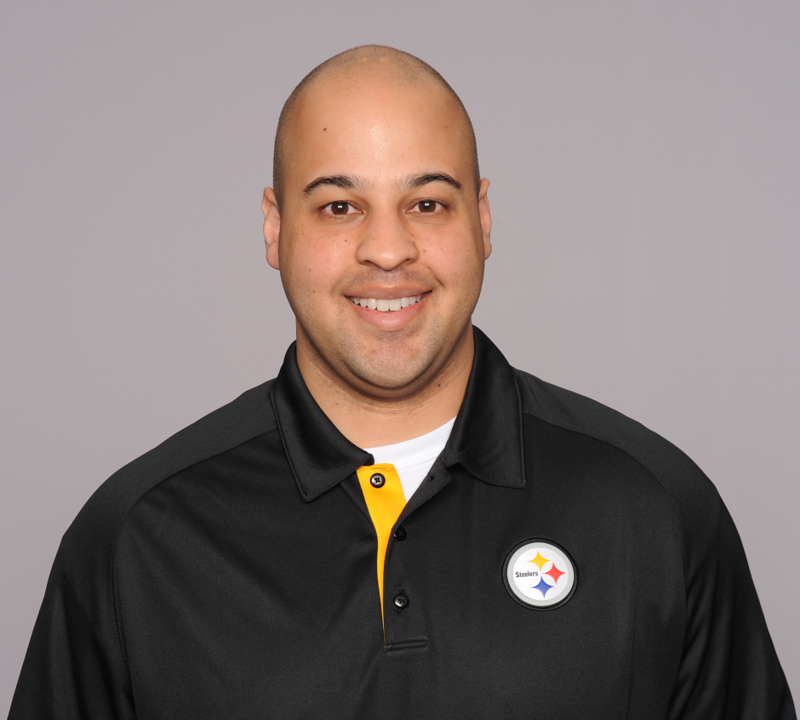 In his current role, Khan works with the day-to-day overall management of the Football & Business Operations Departments, working closely with President Art Rooney II, General Manager Kevin Colbert and Head Coach Mike Tomlin. He is in charge of overseeing many different areas and functions of the organization. Prior to joining the Steelers, Khan worked with the New Orleans Saints for four years. In 2000, he served as Football Operations/Coaching Assistant where he supervised the overall operation of the football program and assisted the offensive coordinator in the day-to-day operations of the offense. From 1998-99, Khan served as New Orleans’ Player Personnel Assistant. His duties included assisting in pro scouting, negotiating player contracts, government affairs and football administration, as well as serving as interim Player Programs Director during the 1998 season. In 1997, Khan was a Player Personnel Intern, primarily working with scouting and research. Khan joined the Saints after spending the 1996 season as an undergraduate assistant with the Tulane University football program. Khan is involved in many activities and organizations throughout the Pittsburgh region, including serving on the executive board of Visit Pittsburgh, the executive board of the Pittsburgh Hispanic Chamber of Commerce, and on the advisory board of FNB Community Bank. In 2005, Khan was selected to attend the NFL Manager Program at Stanford University Executive Education Graduate School of Business. In 2013, he was selected to attend the NFL Career Development Symposium for front office personnel at the University of Pennsylvania. Andrea Vasquez is a Pittsburgh-born native who is excited to witness and partake in the astounding changes in this revitalized city. She is a 2002 graduate from Plum Senior High School, and went on to further her education at Indiana University of Pennsylvania. She graduated in 2006 with a Bachelors of Science in Fashion Merchandising and Minors in Business Administration and Journalism. She was a Board of Governor’s full Scholarship Recipient, which was awarded based on academic performance and a minority background. She is a fourth-generation Mexican and Polish mix. She is currently a resident in the city of Pittsburgh. She obtained an eight-year career in the fashion industry with such corporations as H&M, Macys and JCPennys. Her most recent position was Merchandise Execution Manager, in which she oversaw storewide operations. After this endeavor she began a career in financing. During her first three years in this industry she was the Branch Manager for the mutual and historic Dollar Bank. Over the last three years she has worked as a Group Banking Officer, and oversees business development in the regions covering twenty branches. 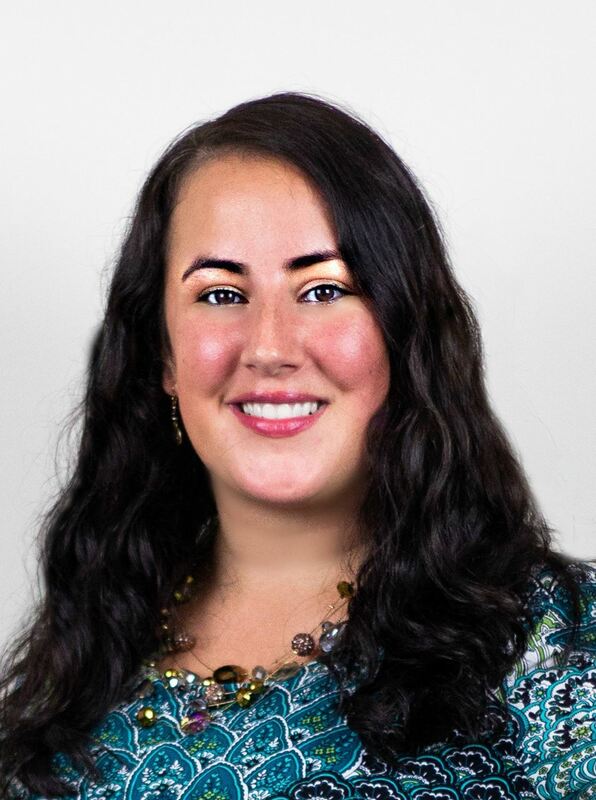 Andrea currently serves as a leader for the Next Generation Council through Vibrant Pittsburgh, and is focusing her efforts on collaborating organizations dedicated to retaining diverse talent in the city. 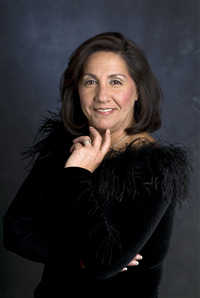 She is a Board Member and Membership Chair for the Pittsburgh Metropolitan Hispanic Chamber of Commerce (PMAHCC.org). She is active in many chambers throughout the city, such as the North Chamber, Airport Chamber, Southpointe Chamber, and attends events on behalf of the bank to increase overall business development in various regions. 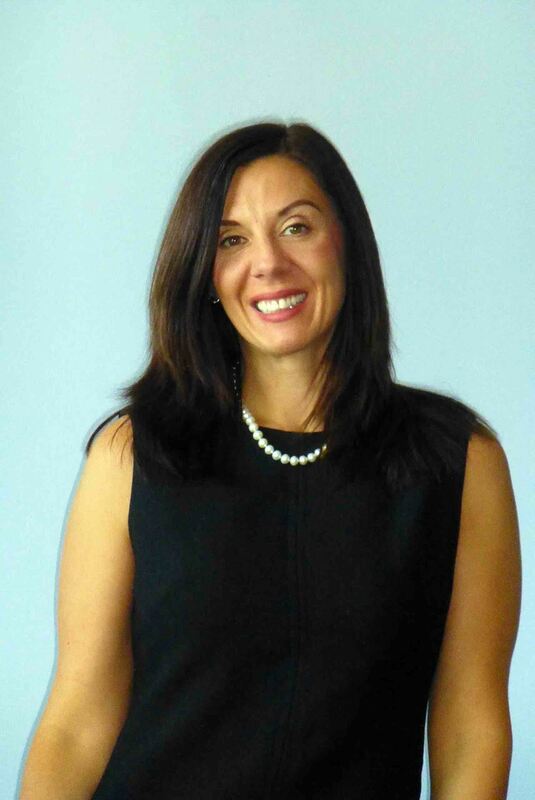 She is also a member with the Pittsburgh Human Resource Association. Over the last year she was elected to serve on the Equal Opportunity Review Committee of behalf of the Mayors office. This committee reviews city bids which are presented in order to ensure compliance with Minority, Women and Disabled businesses throughout Pittsburgh. 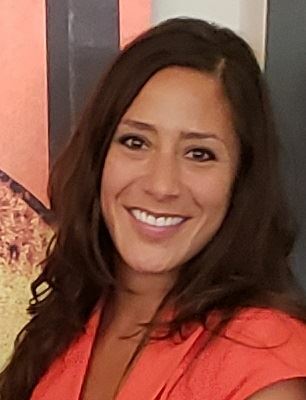 Andrea also serves on an advisory Board for Powerlink, which helps small businesses develop and implement strong business plans to increase revenue and implement strategy change. 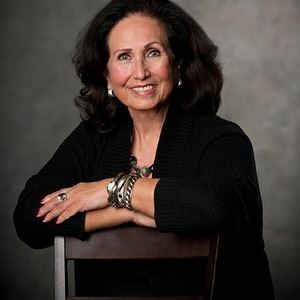 Yvonne Campos is a nationally recognized businesswoman, speaker, focus group facilitator and consultant. Yvonne founded Next Act Fund in 2016 to help women grow their personal wealth by investing in early-stage, womenowned/led companies, thereby positively impacting women, the region and the nation. Yvonne’s career includes founding and growing Pittsburgh’s premier research company, Campos Inc. Never one to sit still, Yvonne then noticed an opportunity to support other women entrepreneurs and investors with Next Act Fund. Under Yvonne’s leadership, Next Act Fund has rapidly grown its board and membership with leaders from Pittsburgh’s business and investing community, all of them visionary women and men. Yvonne also founded two Pittsburgh chapters of the Women President’s Organization, a peer-to- peer learning model for women owned business with revenues over one million dollars. Yvonne is a very active member of the Pittsburgh business community and has been recognized locally, regionally and nationally for her entrepreneurship and community involvement. Her community involvement spans professional organizations like American Marketing Association (AMA), Executive Women’s Council (EWC), International Women’s Forum (IWF), Qualitative Research Consultants Association (QRCA), and many non-profit board positions and committees. She is a CEO Diamond Award recipient, presented by the Pittsburgh Business Times in recognition of her business leadership and civic engagement. She currently serves on the board of Quantum Theatre, Kelly-Strayhorn Theater, Highmark Health, Chatham University - Center for Women's Entrepreneurship, and the Pittsburgh Dance Council. She continues on the honor boards of WQED Multimedia and Goodwill of Southwestern Pennsylvania. Yvonne received her BS in Psychology at the University of Utah, and is a graduate of Leadership Pittsburgh’s Class XI, Tepper School of Business’s Donald H. Jones Entrepreneurship Program, Tuck Executive Education Program and Harvard Kennedy School Executive Education Program. Jonathan Encarnación serves as the Administrative Director for UPMC for You, a division of UPMC Health Plan. In his capacity as Administrative Director, Encarnación is responsible for leading efforts of the UPMC Health Plan and its affiliates to develop product markets in Central PA through the identification and engagement of key stakeholders with goals of building a positive market presence and commitment to new communities, identify critical players in community leadership, professional groups, ethnic communities, consumer groups and others who are able to support the effort. In addition, Encarnación is the host of “A Su Salud—To Your Health.” This monthly bilingual TV program is aimed at educating disadvantaged consumers about health and wellness issues impacting quality of life. Prior to this position, Encarnación directed the Hispanic Center of Reading and Berks County, also known as El Centro Hispano Daniel Torres, which targets the acculturation and self-sufficiency of citizens and non-citizens of Hispanic heritage. In 2011 Encarnación was appointed by Governor Corbett to serve on the Board of Trustees for Wernersville State Hospital and as a Commissioner for the Sunset Taskforce. Other gubernatorial appointments include Governor’s Advisory Commission on Latino Affairs (GACLA) during the Ridge administration, Gov. Rendell transition team for the Department of Community and Economic Development (DCED) and Commissioner at the Pennsylvania Commission on Crime and Delinquency (PCCD). Encarnación is also involved in trusteeship positions at various community-based organizations. Most recently, Encarnación was appointed to the Regional Health Equity Council (U.S. Department of Health & Human Services), the Latino Taskforce of the Pennsylvania Advisory Council on Drug & Alcohol Abuse (Commonwealth of Pennsylvania Department of Drug and Alcohol) and the Managed Care Delivery System Subcommittee (Pennsylvania Department of Human Services). 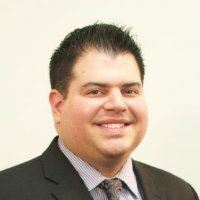 Encarnación earned his Bachelor of Arts degree in Sociology and Spanish from Texas A & M University, and his Master of Business Administration degree from Alvernia University. In addition, Encarnación has participated as a Fellow at John Hopkins University and Harvard Business School. Melanie Marie Boyer, a CalU Alum, is a Colombian & United States Citizen. Born and raised in Pittsburgh, she has always had Colombia in her heart! 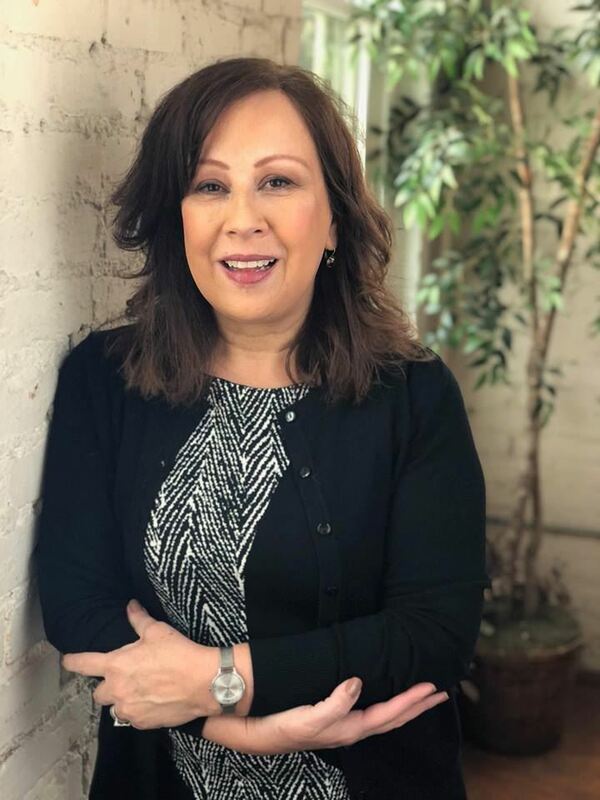 The Pittsburgh Metropolitan Area Hispanic Chamber of Commerce has been in Melanie's life since 1999 when her mother joined the chamber. At a young age Mrs. Boyer began to volunteer not only for PMAHCC, but other causes that she believes in. At only 17 years old Melanie raised over $10,000 for the victims of the floods resulting from Hurricane Katrina in the Pittsburgh Area. In 2013, with a well established passion for service, Melanie took a more active volunteer role at the chamber- assisting with fundraising and events. In February 2018, she took on the role of Development & Viability Consultant. In this role Melanie hopes to bring the chamber closer to its full potential, cultivate and maintain the chamber's relationships, provide our members with the tools that they need to be successful and put a plan in place to ensure the future viability of the chamber. Mrs. Boyer has managed marketing campaigns for small businesses and educates business owners on how to best manage their social media presence. Melanie strives every day to be the catalyst of forward movement and positive growth for not only the chamber, but in all aspects of her life. While Melanie Boyer is passionate about helping businesses to reach their full potential, she places value in work/life balance and, more than anything, enjoys spending time with her wonderful Husband, Joel C. Boyer (Illustrator) and sons Dawson Christopher and Broderick Paul Boyer.